Case of 6+ bottles: only $41.00/bottle! Tasting Note: Bright lemon hue to the wine. An excitingly expressive nose showing ripe tropical fruits with mineral/saline aromas and an underlying complexity. 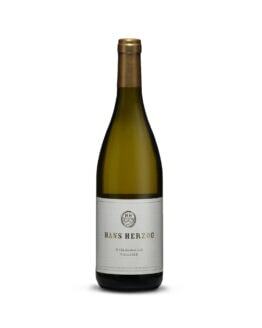 The palate is taught and powerful showing ripe fruits with lemongrass and citrus flavours, that flow into a fine phenolic and saline texture adding weight and complexity to the wine. To be enjoyed with fresh seafood or a summer salad. Winemaking Notes: Selectively hand-picked from the Churton hillside Biodynamic vineyard that sits between the Waihopai and Omaka Valleys at 200m above sea level. The ideal northeast facing slope provides good exposure to morning sun and the less intense afternoon sun and the altitude results in slightly cooler evening temperatures. The soil is loess above a clay subsoil which, at deep levels, has good water holding capacity and protects vines from drought. Sorted again at the winery, then whole bunch pressed and transferred to demi-muids (600L), all French, none new. Pitched with a vineyard yeast starter, fermented and left on lees for 6 months. Bottled in December 2018, un-fined.